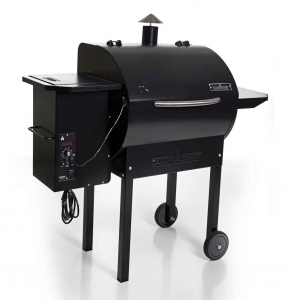 Click Here and Save $25 Off All Orders over $250 plus Free Shipping with code 254250TWB at BBQGuys.com! 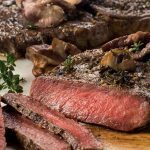 Valid until 6/30. 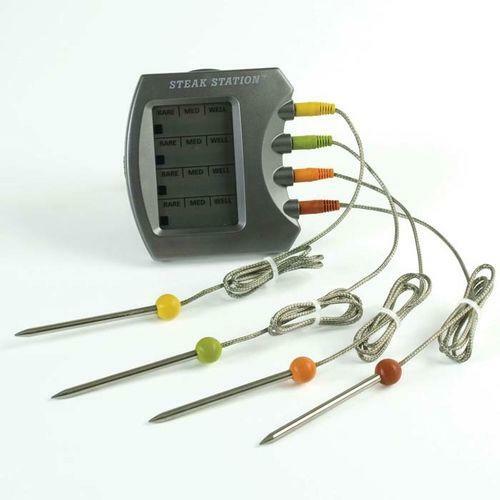 Not the best, but for the price you can use it to increase your odds of getting a good internal temperature. 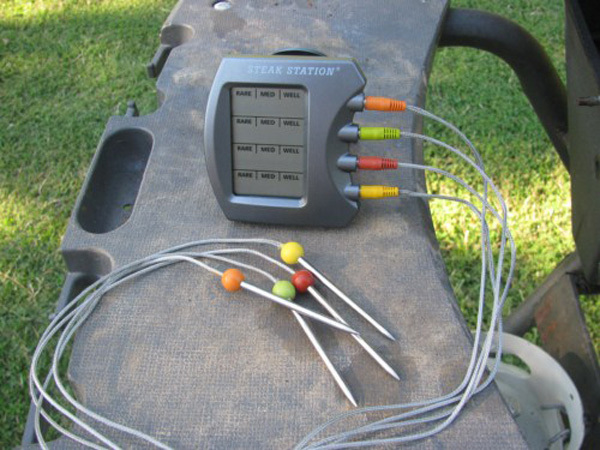 Some reviewers love it, some advise that after multiple uses it was not as accurate. 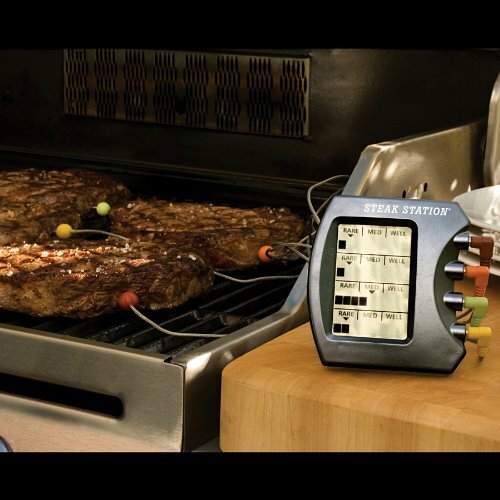 We would recommend looking for a better quality version if not on a tight budget. 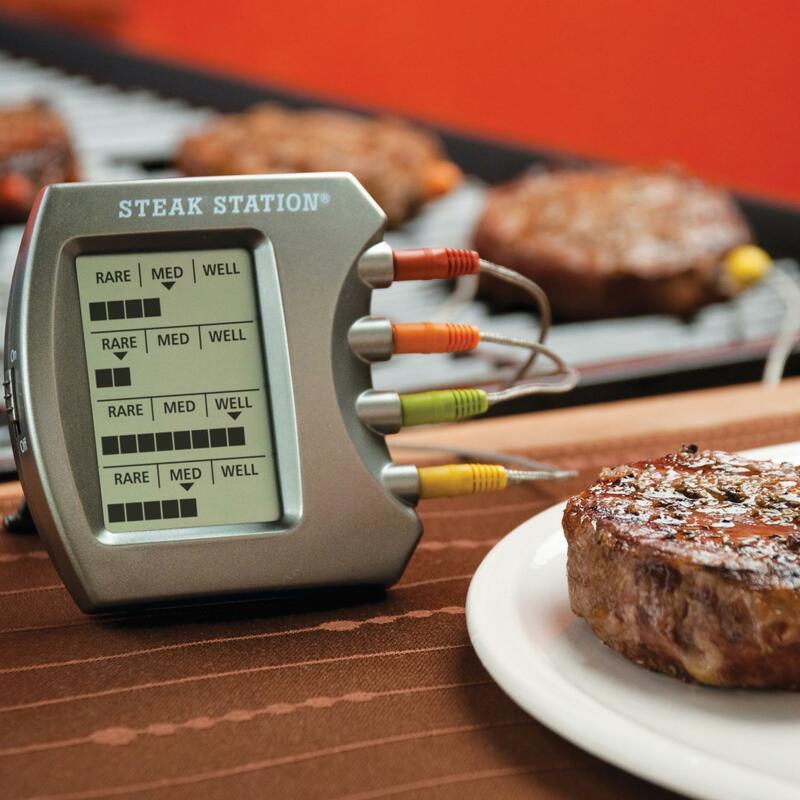 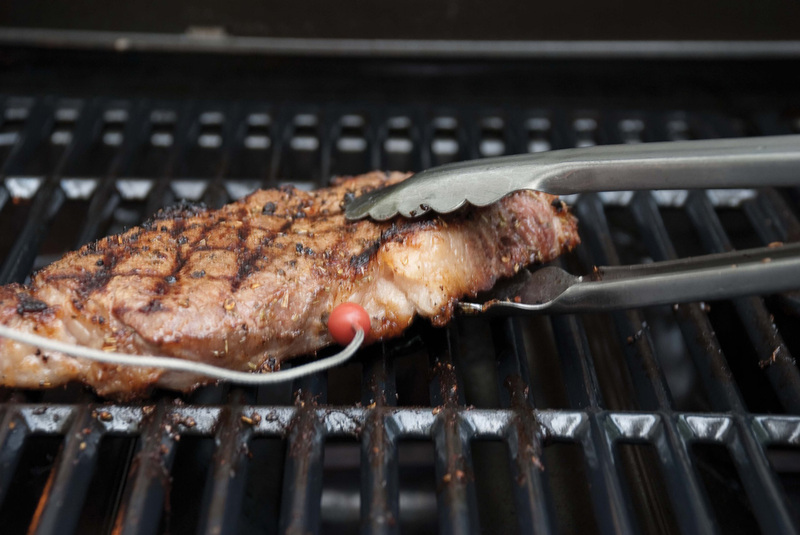 Digital meat thermometer lets you monitor the temperature of up to four steaks simultaneously. 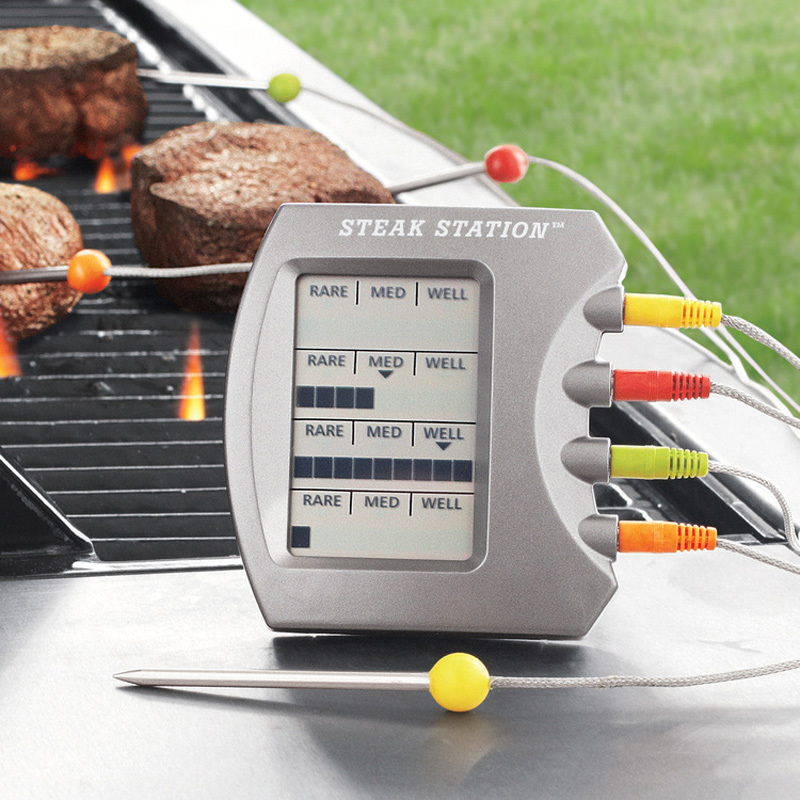 Effectively eliminates the annoying guesswork and stress of grilling several cuts at once. 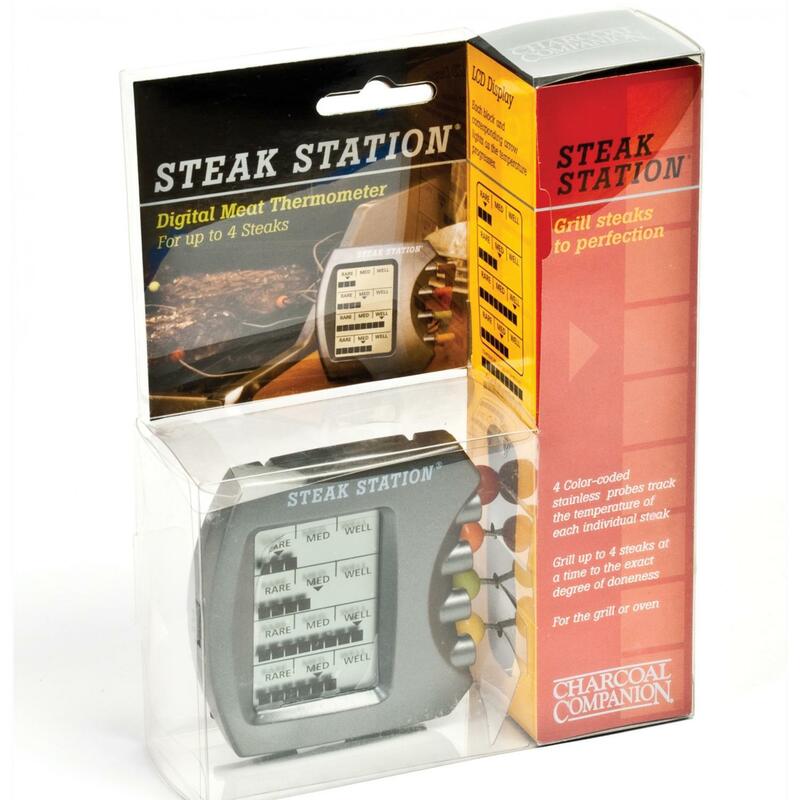 Steak Station Digital Meat Thermometer requires 1 AAA battery, not included, gift packaged. 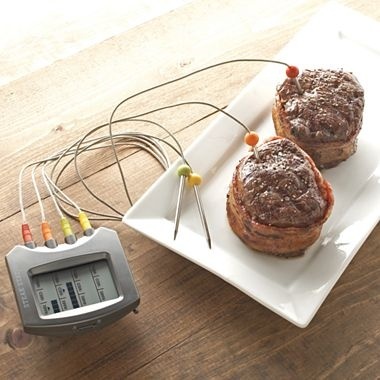 This does not have a temperature gauge but just a basic temperature. 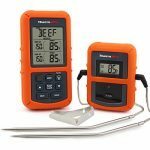 For each range, such as rare, medium, well, there are 3 graduations for each, so a total of 9 total levels of temperature sensing.